In October 2017 Theresa Schubert and Margherita Pevere opened a new studio in Berlin. After a couple of months of work and research, they are now glad to open the doors of their working environment where art and science meet to give visitors exclusive insights into their current and past art projects. The studio will be open between 4-8pm on 1st of February 2018. Theresa’s art practice is situated at the intersection of art, biology, and technology. Recently she completed the Ph.D. programme in media art at the Bauhaus University Weimar. In her works she combines various media such as audiovisual installations, photography or works on paper which address the phenomena of nature not only as a source of inspiration, but as a material and critical process. By means of transdisciplinary methods, such as the re-enactment of scientific experiments, biohacking, theoretical analysis and collaborative practices, organic matter and living organisms become partners in assemblages of shared agency. Theresa’s work has been exhibited internationally. Venues include; Ars Electronica, Linz, KW Institute for Contemporary Art Berlin, ARGE Kultur Salzburg, Newcastle Region Art Gallery, Electro Fringe Festival Australia, Istanbul Biennial, European Media Art Festival and KIBLA Maribor. Recently, the journals Antennae, Wired and Art in Berlin have reported on her work. 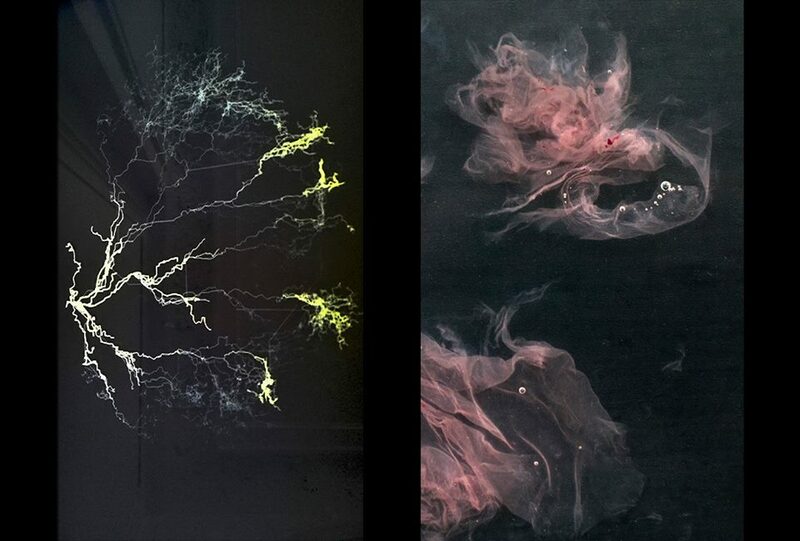 With a deep fascination for organic processes, Margherita Pevere is an artist and researcher focusing on the entanglements of biological and technological matter. Her practice employs a unique constellation of installations, performances, visual and video works, collaborations with bacterial cultures, collections of plant and animal relics, and workshops. Margherita is PhD candidate (Artistic Research) at Aalto University, Helsinki, where she collaborates with the transdisciplinary platform CHEMARTS. She is member of the Finnish Bioart Society and of the Berlin advocacy group 21st Century Art and Digital Culture. Most recent exhibitions include the Article Biennial – i/o lab, Stavanger (NO); State Festival for open science and society, Berlin, curated by Daniela Silvestrin; Non-human agents, Art Laboratory Berlin, curated by Christian de Lutz and Regine Rapp.